To start your career in a restaurant in Singapore, as a foreigner, it is not necessary to have formal education or work experience. Besides basic knowledge of one or two official languages in Singapore, employers usually consider as a qualities skills like communication, good memory, friendliness, ability to work under pressure and organizational skills. 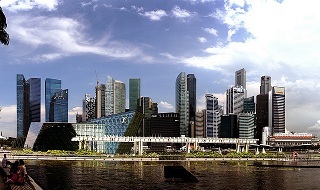 Singapore is one of the most visited destinations in Asia-Pacific region by international visitors and No. 1 in terms of the amount spent by international visitors. This city-state is well-known for its shopping malls, hotels and fine dinning. 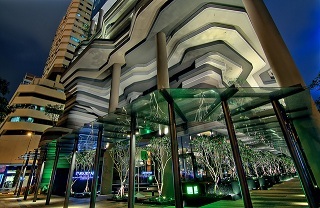 Hospitality sector is well developed in Singapore. Numerous restaurants are everywhere – in hotels and shopping malls, near the main tourist attractions and promenades, etc. There are a plenty of job opportunities in Singaporean restaurants for foreign nationals interested in cooking, serving or managing restaurant. No matter if you are looking for full time job, part-time job, temporary job or students' summer practice, there are job opportunities everywhere, especially during the tourist season, when restaurants are in demand for restaurant workers of all professions to fill entry-level positions as well as mid-level positions. A variety of restaurants in Singapore offer job opportunities for people of different nationalities, especially young people. Usually it is important for job seekers to be fluent in one or two of the official languages of Singapore – English, Malay, Mandarin and Tamil, because of the high volume of international traffic in Singapore. The most in-demand restaurant jobs in Singapore are: cook assistants, delivery drivers, servers and waiters. Singapore has an incredibly diverse range of dining options. There are restaurants for every taste and budget, from fast food restaurants and sandwich or grill bars, to casual family restaurants and premium dining restaurants. Singapore’s nightlife includes numerous events in local cafés, bars, clubs, coffeehouses, bistros and romantic restaurants. Depending on the size and type of restaurants, there are a variety of jobs in Singaporean restaurants and there is an increasing demand for foreign workers to fill these positions. Some are front-of-the house positions, such as waiters, servers, hosts, and sommeliers. Others are back-of-the-house jobs, like chefs, head cooks, or bakers. A number of positions are management positions, responsible in a business of running a restaurant. These include Restaurant Manager, kitchen manager, dinning room manager and product / service manager. Management position in a Singaporean restaurant is normally filled by someone with several years of restaurant management experience. Finally, there are a number of administrative jobs in restaurants. These range from office assistants, to jobs like sales administrator. So, jobs in the restaurants in Singapore can involve lots of interaction with customers, but also could be very behind-the-scenes. Because there are so many jobs in restaurants, there are a variety of restaurant job titles. Read below for a list of some of the most common restaurant job titles in Singaporean restaurants, including those mentioned above. Click a job title link to get an information about salaries, benefits and requirements for certain restaurant job in Singapore. - Delivery driver in Singapore – delivery drivers are amongst the most in-demand jobs in fast food restaurants and pizzerias. Delivery driver must have a valid driving license. As an entry level restaurant job, delivery driver is one of the most popular jobs for foreign nationals in Singapore. - Cleaner in Singapore – usually an entry-level position for someone without any work experience. Restaurant jobs in Singapore are often rewarding ones. Employers in Singapore tend to pay restaurant staff higher than average wages to create consistent salaries for their restaurant staff, less dependable on customers’ tips, and improve service for all restaurant customers. 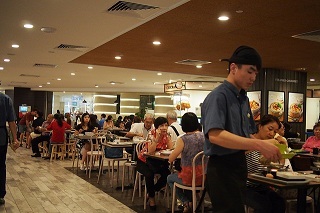 Front-of-the-house positions in restaurants such as waiter, host or barman are considered as the top paid temporary jobs and entry level jobs in Singapore. Restaurant employees usually work about 40 hours per week, which is a typical work week in Singapore. Salaries for restaurant staff can vary by position, but average monthly salary for any restaurant job in Singapore is usually enough to meet everyday living expenses. Keep in mind that many restaurant jobs usually are filled through personal referrals, so you can start looking for a job by asking family members and friends if they are aware of any job openings in restaurants. Reach out to everyone you know who are already working in restaurants in Singapore and ask if there are any open positions where they work. If you do not know anyone looking to fill a restaurant position, there are many other ways to find a job opening. One of the best ways is to visit restaurants in Singapore and ask to speak with a restaurant manager. Carefully choose a time to visit restaurant - when restaurant managers are more available to speak with you, not when restaurants are crowded. Don’t forget to attend local job fairs in Singapore. This will give you an opportunity to meet restaurant companies and entrepreneurs that are hiring restaurant staff, get valuable information concerning job openings and you may be even interviewed for some restaurant jobs during the fairs. If you are looking for restaurant jobs in Singapore from abroad, you can search job sites like StJobs and JobsCentral using job titles like keywords- cook, waiter, dishwasher, chef assistant and restaurant to generate local job listings. If you're interested in working for a restaurant chains, check their websites to see if they have job openings and if they accept online applications. There are a number of job search engines dedicated to entry-level jobs. Those are valuable resource for young job seekers and job seekers without work experience, especially if they are looking for restaurant jobs. Keep in mind that restaurant staff in Singapore usually starts careers as dishwashers, cleaners, cook assistants or hosts in a restaurant and then move up in the same restaurant or to more upscale establishments. So, you should consider accepting a job that may not be exactly what you are looking for to start, especially if you don’t have work experience or not fluent in official Singaporean languages, because it could be a good way to get started on a restaurant career.